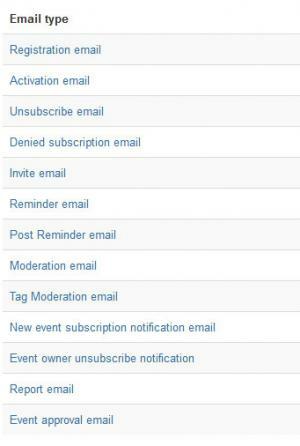 Each email has its specific placeholders that can be used to return event, owner, user and subscription information. To get a listing of these placeholders just edit an email type the placeholders will be listed on the right side. 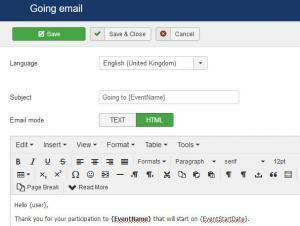 Going email: sent to the admin when an user is attending an event. Interested email: sent to the admin when an user is interested in attending an event. Not going email: sent to the admin when an user is not attending an event. Activation email: sent to the user when his subscription has been approved. 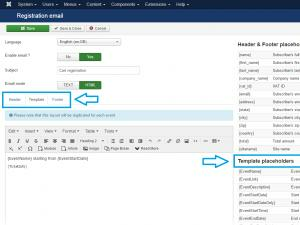 Each of the cart emails is divided into 3 configurable layout tabs: Header (added at the beginning of your email message), Template (middle area - duplicated for each event) and Footer (added at the bottom of your email message). 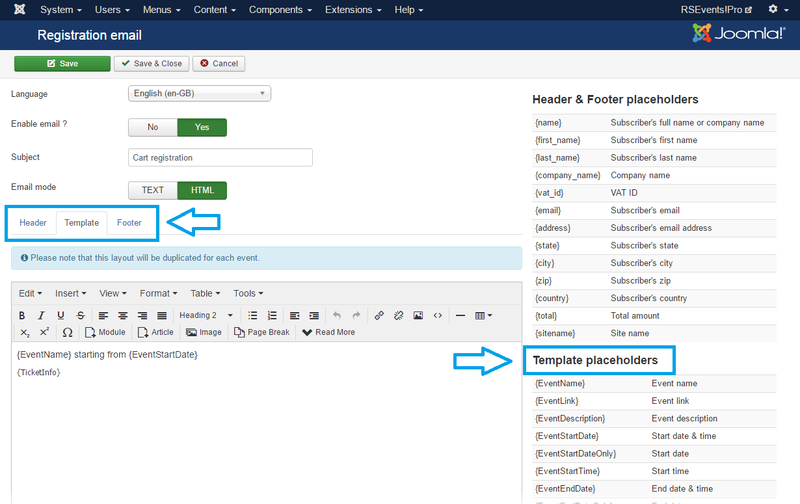 Since you can subscribe to multiple events at once using the cart functionality, the Template section will be duplicated for each event in the email body (this way you can add information on all of the user's chosen events).